Last week I mentioned that I had been on a red and black kick. Today, I want to share one of the red projects I finished. This sign started out as part of a headboard. After a good sanding I painted the main part of the sign red. 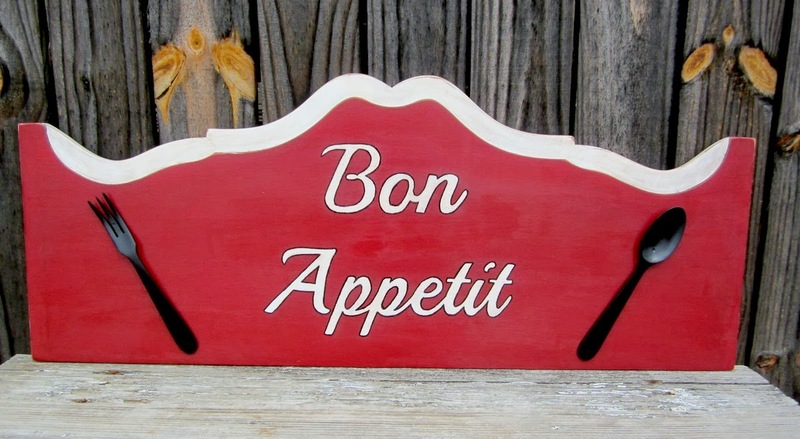 I also had a wooden salad fork and spoon set that I wanted to incorporate into the sign. 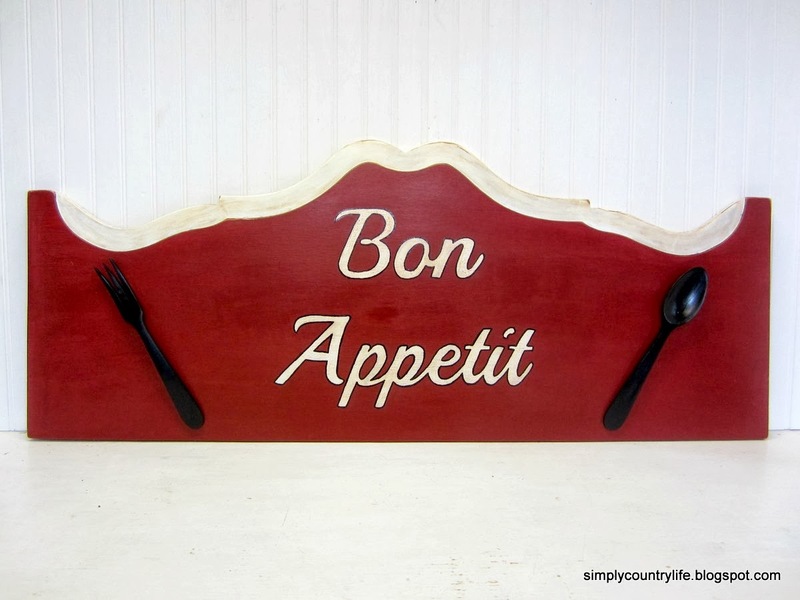 I sanded the fork and spoon and painted them black before attaching them to the sign. then printed a pattern to create the Bon Appetit words. I used chalk and a tracing technique to transfer the outline of the letters to the sign before painting them white. You can see a more detailed tutorial on this technique here. After the letters were painted white, I traced them with a black Sharpie paint pen. all of the white painted areas are distressed and hand antiqued. I have one more red and black project to share with you later this week. Have you repurposed a headboard into anything? There are so many great headboard repurposing projects out there.